Chris Douglas, the widely-respected Morningstar head of manager research Asia-Pacific, is to leave the firm after 12 years. Douglas, who served in various roles with the research house including a two-year stint at the firm’s Chicago HQ, will join the Auckland-based MyFiduciary as a principal in September. MyFiduciary is a governance and consulting firm headed by Ross Fowler and two former NZ Superannuation Fund senior investment specialists, Aaron Drew and David Rae. 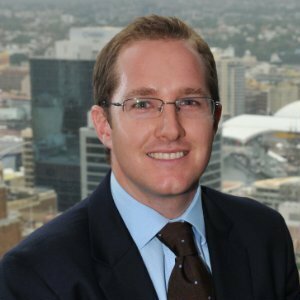 In a note to clients, Morningstar global practice leader, Grant Kennaway and head of Australasia, Jamie Wickham, said: “In the interim, Chris will continue to lead the team and Tim will become more involved where necessary, until such time as a replacement Director of Ratings is hired. Douglas said the move was prompted mainly by a desire to cut down on trans-Tasman travel to spend more time with his young family in Auckland. “I also wanted to do something more in my home market,” he said. Kennaway and Wickham, said in the client note that NZ “remains important” to Morningstar. “Our manager research team will continue to come to New Zealand to cover your funds; and we will maintain our on the ground presence to ensure we are tapped into the local industry,” the note says. Douglas formally finishes at Morningstar at the end of August.